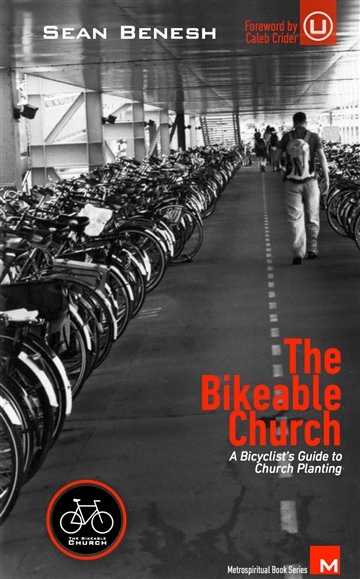 The Bikeable Church: A Bicyclist's Guide to Church Planting is an off-the-cuff look and exploration into the bicycling world in Portland. More than that, it pokes and prods church planting in the urban petri dish to discover what it'd be like to plant pedal-powered churches. Chalked full of stories, antics, and slightly questionable research, The Bikeable Church spins forward the church planting revolution in light of the changing transportation infrastructure in cities like Portland, and asks whether we can truly start churches where the primary vehicle of use is the bicycle. This book is for the everyday bicyclist and ordinary church planter. You'll be happy to hear that no spandex was worn for the writing of this book. Coffee and bicycles define Sean's urban existence who believes the best way for exploring cities is on the seat of a bicycle as well as hanging out in third wave coffee shops. Sean is an urban missiologist who works in a creative partnership between TEAM as the Developer of Urban Strategy and Training and the Upstream Collective leading the PDX Loft. “Sean has tapped into not only the heart of the missional movement but the ethos of his city for his call to be a ‘bikeable’ church. His message is built upon his experience as a cyclist and church planter, and his challenge follows the trend of urban centers around the world. Sean provides not only social observation and his own insights, but he gives practical ways to make your church bike-friendly and accessible to the two-wheeled vehicles and riders who are multiplying in your community. As a cyclist who lives in a suburb, I envy his culture of cycling and the opportunities he has to be the church in Portland, Oregon.” -- C. Gene Wilkes, PhD, Author of Jesus on Leadership and Evangelism Where You Live. Gene is also an avid cyclist. “We live near Freiburg, Germany. A few days ago I had the chance to read The Bikeable Church. We have recently been part of a church planting team for a church in that city. As I read the book it brought back memories of our first public worship gathering and how many people on bikes showed up. I am very glad we had bike racks. We just did not have enough of them. This book addresses some very practical questions about starting churches in urban areas. 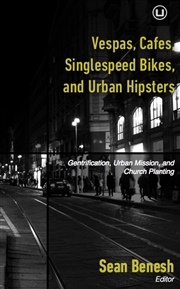 Not only does it address some important missiological areas in urban church planting, but it also helped me think through the gathering location of our church plant and how many people will walk to church, bike to church, or take the tram to church.” -- Larry McCrary, Director of the Upstream Collective, author of Tradecraft: For the Church on Mission. “Bicycles are a growing feature of many urban transportation landscapes. But how might the church relate to the bicycle lifestyle and mindset? In The Bikeable Church, Sean Benesh applies his missiological instincts and insights to answering this question in ways that only a bike enthusiast can!” -- Craig Ott, PhD, Trinity Evangelical Divinity School, co-author of Global Church Planting. “To be missional is to be culturally aware. To be missional is to be a strategic thinker. To be missional is to see social diversity. To be missional is to be alert to socio-cultural shifts. To be missional is to live into the mission of God. To be missional is to be ‘His ambassadors’ of reconciliation and restoration of humanity with God. To be missional is to live ‘Christ’ in contemporary time-context. To be missional is to look the mission of Christ through fresh eyes at the cultural shifts. Sean Benesh gets it! 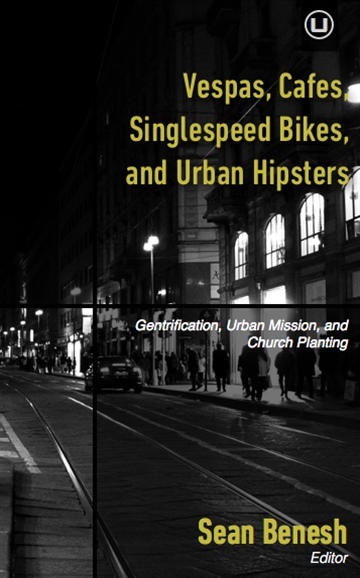 The Bikeable Church is more than a primer on church planting to a particular demographic. In clear, concise terms Sean communicates what it means to be a missional theologian. This is an insightful read igniting missional wisdom for our time and context.” -- Roger Trautmann, Associate Professor of Pastoral Ministry, Director of Mentored Ministry Formation,Multnomah Biblical Seminary / Multnomah University, Portland, Oregon. “Sean’s passion for cycling and church planting converge in this simple but enjoyable read. He does a good job as a missiologist unpacking insights for his readers. This book has created lots of good questions for me. As a cyclist and church planter strategist, I look forward to engaging my team with Sean’s book.” -- Charles Campbell, Director of Church Planting, Southern Illinois Region. “This is critically important book for anyone interested in a missional approach to urban ministry. What makes Sean Benesh’s work so compelling is that he reflects and writes from the vantage point of a practitioner who through the thick descriptions of his own personal experiences stresses the need for immersing oneself in the culture we are trying to reach. Yet his work is not undergirded solely by the ethereal or anecdotal; he has done the grunt work of solid research as well. Sean masterfully challenges us to consider the fact that not only is the way we travel within the city an ecological concern, it has profound missiological implications as well. His intention is not to launch a personal vendetta against the automobile, but to present a well-thought out alternative for the way we plant churches in cities, recognizing that not everyone lives in a city that is bike-friendly. But in so doing he demonstrates that the choices we make with respect to our mode of transportation within the city matter for the simple reason that … it even causes us to re-evaluate our roles as followers of Jesus in the city. Sean effectively brings the whole concept of a Bikeable Church out of the hypothetical realm onto the terra firma of ‘how to do it’ through a generous list of practical and very do-able suggestions that virtually any church in almost any location could deploy. This personal, challenging and insightful work serves to benefit any who are concerned with reaching our cities with the Good News of Christ.” -- William (Bill) R. McAlpine, PhD, author of Sacred Space for the Missional Church: Engaging Culture through the Built Environment, and Professor of Practical Theology, Ambrose University College, Calgary, AB, Canada.